By the Sea features more than 50 unique properties throughout the world that have their footprints on some of the world's most wonderful beaches. Featuring a mix of residential homes, hotels, restaurants and cafes, each property has been carefully selected for its aesthetic value... read full description below. By the Sea features more than 50 unique properties throughout the world that have their footprints on some of the world's most wonderful beaches. Featuring a mix of residential homes, hotels, restaurants and cafes, each property has been carefully selected for its aesthetic value, history, and ambience, and their success in blending with, and adapting to, their enviable beachfront locations. The wonderful photography in this book highlights the unique nature of each property and is a vital component in their selection. The accompanying text by experienced travel writer Barry Stone brings to life their individual stories. 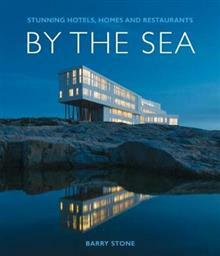 - A classy hardcover gift book showcasing more than 50 of the most unique beach homes, hotels, restaurants and cafes, in the world - Featuring wonderful photography and accompany text that brings to life the individual stories of each house. - Expertly researched by experienced travel writer Barry Stone. Barry Stone began his writing career in 1998 as an occasional contributor of destinational travel stories for newspapers, and has since continued to find p ublication in many premier travel magazines. He went on to become a contributing author for a string of illustrative reference books. His first title as sole author was I W ant to Be Alone (Murdoch Books, 2010), a history of the world's most famous and not-so-famous recluses both secular and religious; History's Greatest Headlines (Murdoch Books, 2010 with James Inglis); and Mutinies: Shocking Real-Life Stories of Subversion at Sea (Murdoch Books, 2011). In between books he has worked as a contributing author on several of the popular 1001 titles for UK publisher Quintessence including 1001 Inventions that Changed the World (2009), 1001 Escapes to Make Before You Die (2009) and 1001 Comics You Must Read Before You Die (2011).